The wildlife photographer Brent Cizek decided to visit north Minnesota lakes for some photos. He was hoping to capture some intimate scenes of animals in their natural habitat. But in the end, Brent had no idea how intimate he would get. After a ride with his tiny boat on the lake, he then steer it at the shoreline. In the next moment he spotted what seemed to be a bevy. When he edged nearer he could see there was a mother duck and few ducklings. Only that the few turned into few dozen. 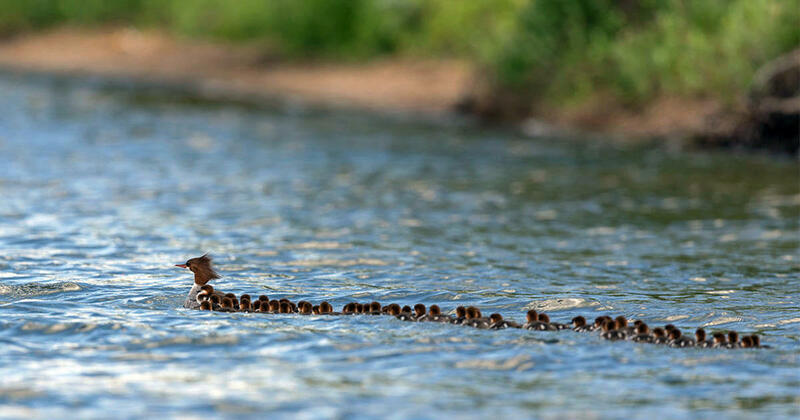 The super duck mama was being followed by a staggering 56 ducklings. “I found one image that was in focus and that I just loved,” says. “I knew that it would do good on social media, so I posted the photo right away.” And it doesn’t took to long until his image went viral on social media. Most likely that wasn’t just a single brood, but a mixed family. 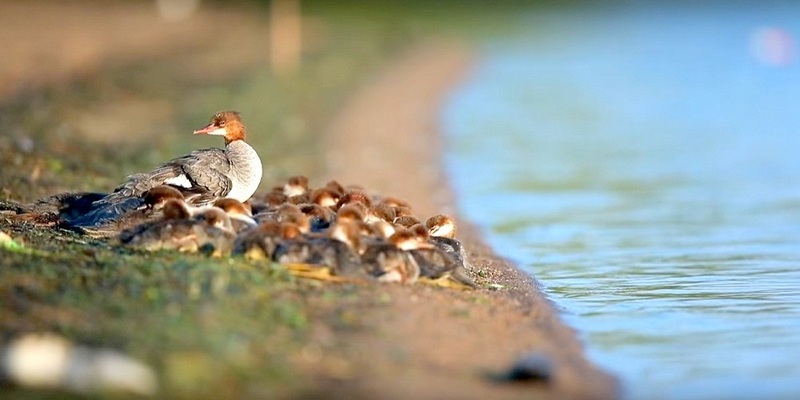 But despite that, this duck is certainly the mom of the year!